The government’s decision to issue the computerized ID cards and mentioning the nationality as “Afghan” on the cards fueled a new political and ethnic tension in the country. The Afghan government with the financial assistance of foreign NGO decided to issue Computerized Identity cards to its citizens eight years ago but could not succeeded to launch the multi-million-dollars project because of wide spread differences over the issue. One might think that the issue may have risen due to technical reasons but one would be surprised to hear that the issue is merely due to the word—“Afghan”. Who is Afghan and who is not, is the main impediment in the way of launching the project as majority of non-Pashtoon nationalities do not historically consider themselves Afghan. They are against the word “Afghan” that the government wants to make sure is written on their ID cards. 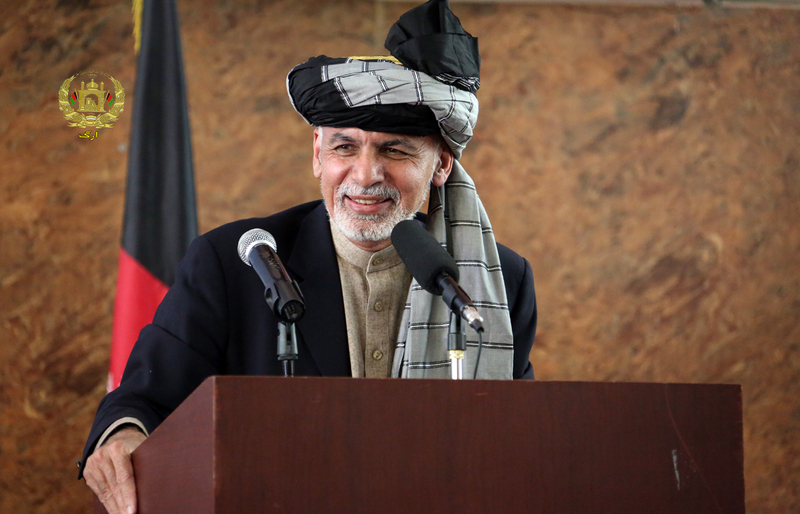 President Ashraf Ghani led government says that apart from the Islamic Republic of Afghanistan, it would also add a column (i.e. national—Afghan) on the ID cards for every card holders but the non-Pashtoon nationalities oppose the notion and consider the word Afghan synonym of Pashtoon. Unlike government, they demand the name of nationalities, like Tajik, Hazara, Uzbek and Afghan/Pashtoons to be written on the cards. They are of the view that there is no need of mentioning Afghan as the Islamic Republic of Afghanistan would already be written on the top of the ID cards. It is not the first time that political crisis has erupted in the country on national/ethnic lines. The mystery and secret of these national/ethnic tensions are deeply confined in long history of Afghanistan. The country which is now known as Afghanistan, was earlier remained parts of greater Khorasan Empire and central Asian countries for centuries. The territory was ruled by from Alexander the great, great Mughal conqueror Changez Khan and from Zahir Uddin Babar to the Iranian king Nadir Shah Afshar. Following the assassination of the King of Persia Nadir Shah Afshar, his successor Ahmad Shah Abdali for the first time announced a new state comprising of Kandhar, Kabul and adjacent areas at 1747. Earlier Ahmed Shah Abdali was a committed and trustworthy soldier in the Nadir Afshar’s kingdom due to which he soon rose to become the commander of his own Pashtoon-Abdali clan. Apart from the foreign invaders and interferences, the emergence of newly born state brought in new contradictions and raised national questions as Afghanistan’s territory was not as united as it seems today. Outside its boundaries, various independent nationalities had been living in a self-claimed sovereign states with their distinctive languages and cultures. Later many Afghan rulers made several efforts to bring the neighboring areas to the domain of Afghanistan but in vain. When King Abdur Rahman Khan, an ethnic Pashtoon came into power at the end of 19th Century with the help of British Empire, he made efforts to coerce the non-Pashtoon nationalities to join his kingdom. The king ordered his Army to invade those areas particularly the Hazarajat and Kafiristan (Nooristan) for openly refuting to be part of the Afghan state. Though King Abdur Rahman had succeeded to integrate the sovereign and independent non-Pashtoon areas into Afghanistan but the national alienation, deprivation and discrimination continued unabated. Nevertheless, various uprising and national struggle against suppression and national discrimination remained continued from the very beginning that were pitilessly suppressed by various Afghan rulers– from Ameer Abdul Rahman Khan till King Zahir Shah, the so-called Father of nation. In January 1929, Habibullah Kalalkani, an ethnic Tajik succeeded to overthrow and forced the King Amanullah Khan to escape towards Kandahar. Habibullah remained as king for merely nine months when Nadir Shah’s forces with the assistance of tribal people of Waziristan managed to reoccupy Kabul and arrested King Habibullah. The Tajik king including his brother and aides were later executed in in the capital Kabul. Majority of Tajiks regard Habibullah Kalakani as its Hero while the Pashtoons consider him a dacoit and thieve. The Hazaras, who were once the largest nation in Afghanistan now rank third, constituting 20 to 25% of total population of the country. Hazaras historically confronted grave discrimination, ethnic cleansing, enforced confiscation of agricultural lands and mass migration during successor afghan rulers. According to some historians, 60 to 63% of Hazaras were massacred when Hazaras went on war with Afghan king Abdur Rahman (1888-1893). Another people’s uprising was observed in 1944, when Ibrahim Khan Alias Gaosawar (The Bull Rider) launched a widespread movement against King Zahir Shah’s discriminatory and prejudiced policies and enforced taxation on the people of Hazarajat. The efficacious people’s movement made the government compelled to annul the draconian taxation decree. Do not need to go far into history, during 1990s when Soviet Union decided to leave Afghanistan, various Mujahideen factions who had jointly struggled against Soviet occupation, soon after managing to seize Kabul, became divided on national lines and started waging war against one another as they failed to reach a comprehensive consensus for greater power sharing. Later during the Taliban regime, the divide was further expanded and the country experienced an endless war and bloodsheds that are still continued and would not seem ending in the coming future. Following the 9/11 incident and the subsequent invasion of United States and its allied forces, the people of Afghanistan particularly the deprived and oppressed nationalities pinned great hopes for perpetual peace and stability and wide range reconstruction and development in the country. 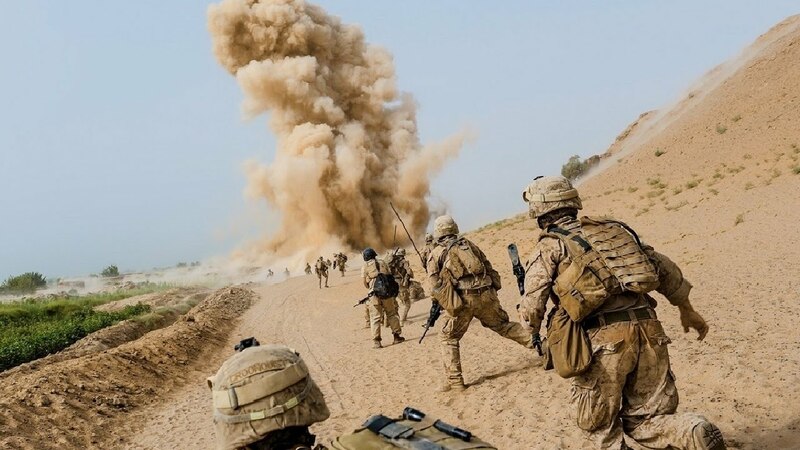 But with the span of 17 years with billions of dollars that were expended, the US, international community and Afghan government, neither managed to bring peace and stability nor succeeded in nation building thrive in the country. Once again the old national divisions and contradictions, which had been temporarily put under the red carpet, have rapidly been reemerged over several issues and subjects ranging from ethnic discrimination to the identity crisis. The route of multi-billions power line project TUTAP was deliberately altered from Hazara dominated provinces of Bamyan and Madan Wardak to Salang Pass. When the people pour out to the streets against the decision of the government for the alternation of the project route, they were knocked out by suicide bombers and explosion that resulted in at least 100 deaths. Despite expending billions of dollars on democracy, freedom of free speech and right to protest, the government and its security forces have also failed to pursue the true essence of democracy and human rights. The security forces have violated the basic human rights at several times by spraying peaceful protesters with bullets, killing several people and injuring many others. It is in a situation that whenever governments especially of the third world countries failed to deliver, they forge artificial crisis and resort to the old but famous tactics of divide and rule in order to diverge the attention of populace from more pressing issues– the lack of security, unemployment, rampant corruption and basic human rights. All the three partners–Afghanistan, US and the international community have not only failed providing security to the people but likewise did not succeed to contain rising unemployment, wide spread corruption and severe human rights abuses. In a nutshell, any strategy that does not take into confidence all the stakeholders is set to fail. and the whole masses of the country. To resolve the present political crisis and the old historical ethnic rifts, a comprehensive, vibrant and fair strategy is absolutely necessary. The mistakes committed during 1990s that kept Afghanistan aloof and ignored the grave ethnic divide in Afghanistan, if repeated would once again plunge the country into civil war that could endanger the very foundation of the Afghan state.